Quilt pattern book includes 24 blocks in sizes: 5”, 6.5” and 8” for a total of 72 blocks. The quilt finishes 70.5” x 78.75”. This is a 10 month BOM beginning May 2019 through February 2020. Your monthly fees include a copy of the book (provided with month 1), the fabrics as shown from Lella Boutique’s Lollipop Garden and binding. Backing sold separately. 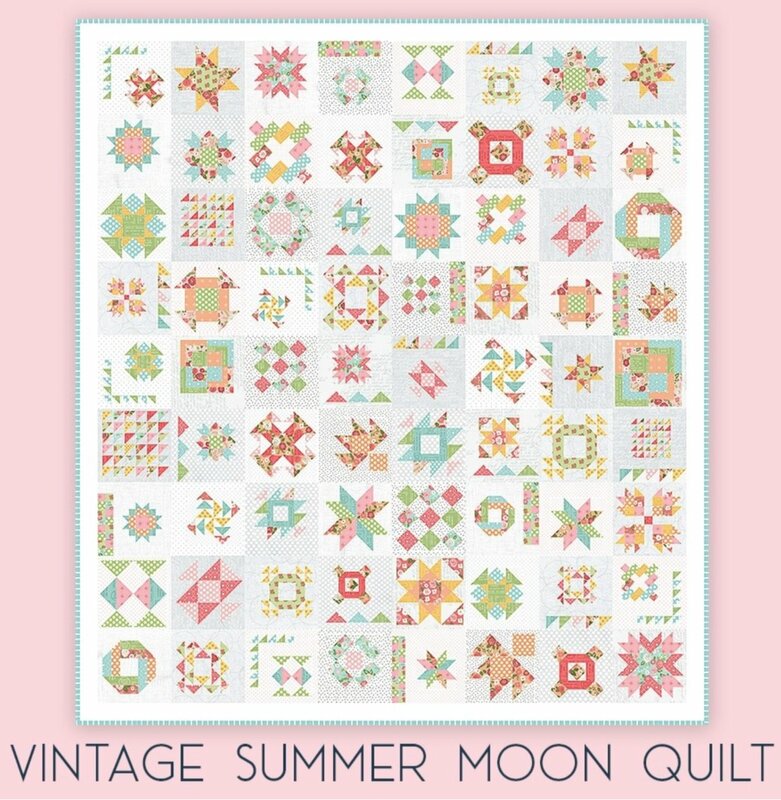 This $10 non-refundable registration fee will secure your spot in this stunning Sampler Quilt. This is a 10 month commitment. Please understand there are no exceptions, no refunds. Your card will be charged monthly, on the 15th of each month for 10 months starting May 2019 at $32.99/month + tax. This is a non-facilitated Block of the Month.